You don’t have to suffer from severe tooth pain; you have options. 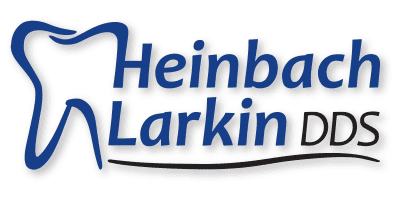 The dental team at Heinbach-Larkin Dental offer emergency care to relieve your pain and treat the underlying cause, so that you can get back to enjoying life. Contact one of their offices in Topeka and Lawrence, Kansas, as soon as you feel tooth pain coming on. Prompt dental attention doesn’t just offer relief, it also preserves your tooth and protects your overall health. Why is it important to get dental care for tooth pain? When a tooth is causing you pain, it can be miserable and affect your ability to enjoy a lot of life’s pleasures. At-home treatments aren’t always effective, which is why the experienced dentists at Heinbach-Larkin Dental take steps to alleviate your discomfort quickly. It’s also important to remember that severe dental pain signals damage, disease, or infection that can destroy bone and soft tissues. The underlying cause must be treated to prevent ongoing pain, preserve your teeth, and stop bacteria from spreading throughout your body. What are the common causes of severe tooth pain? What should you expect during your dental appointment? Your dentist at Heinbach-Larkin Dental reviews your medical history, asks questions about the quality and location of your pain, takes digital X-rays, and performs an exam. The goal is to determine the exact cause of your pain and take steps to alleviate it quickly. The treatment you receive depends on the cause of the pain. Infections inside the tooth’s pulp commonly cause severe pain, so your treatment plan may include a course of antibiotics followed by a root canal. Can you receive emergency dental care for tooth pain? When your tooth pain is so severe that you can’t wait for an appointment, the dental team at Heinbach-Larkin Dental provide emergency dental care. When your dental health is at risk, they do everything they can to treat your problem quickly and promptly. Please don’t hesitate to call the office or their emergency number when you need immediate dental attention.